Diet, Oral Health and overall health. Nowadays, people are more health conscious and there are various diet trends going around. 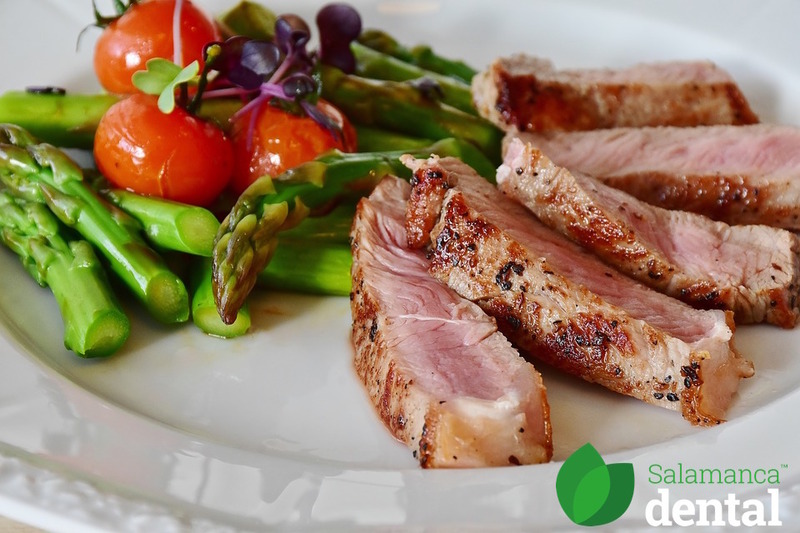 People often find out what sort of food is good for their general health, but are not as aware of how certain food and overall diet can have an affect on their dental health. The impact of sugar on your oral health is generally well known. Excessive consumption of sugar can lead to tooth decay as bacteria that causes decay feeds off sugar. Sugar is not only found in chocolates and lollies, but also hidden in food advertised to be healthy such as fruit juice, flavoured yoghurts, and dried fruits. Acidic food and drink such as vinegar, citrus fruits, red wines and fizzy soft drinks can cause erosive tooth wear. This leads to teeth looking worn and scooped out, which can be of aesthetic concern. It can also result in tooth sensitivity. Pigments from dark-coloured drinks such as coffee, tea, and red wine can lead to staining. Some stains can be removed with a scale and clean. If the pigments are embedded within the cracks and ridges of teeth, this can change the overall colour of the teeth, which can be more challenging to remove. Cheese, milk, non-flavoured plain yoghurt, and sugar-free chewing gum help in the remineralisation process of teeth. Finishing a meal off with one of these foods is a step you can take to protect teeth from decay. It is okay to enjoy a sweet treat every now and then, but in moderation! Interested in finding out more about the how your diet can affect your teeth? To speak with one of our friendly staff members, please call Salamanca Dental on (03) 6288 8070, contact us here , or book online. We look forward to seeing you soon, and remember to… smile like you mean it! ‹ Making your dental visit a pleasure.